There is an adjusting speed switch with "high" and "low" gears at the back of the machine, it is high speed gear when pressing the button, press it again, it is low speed gear when it rises. Use hand to guide cloth for straight or turning movement. 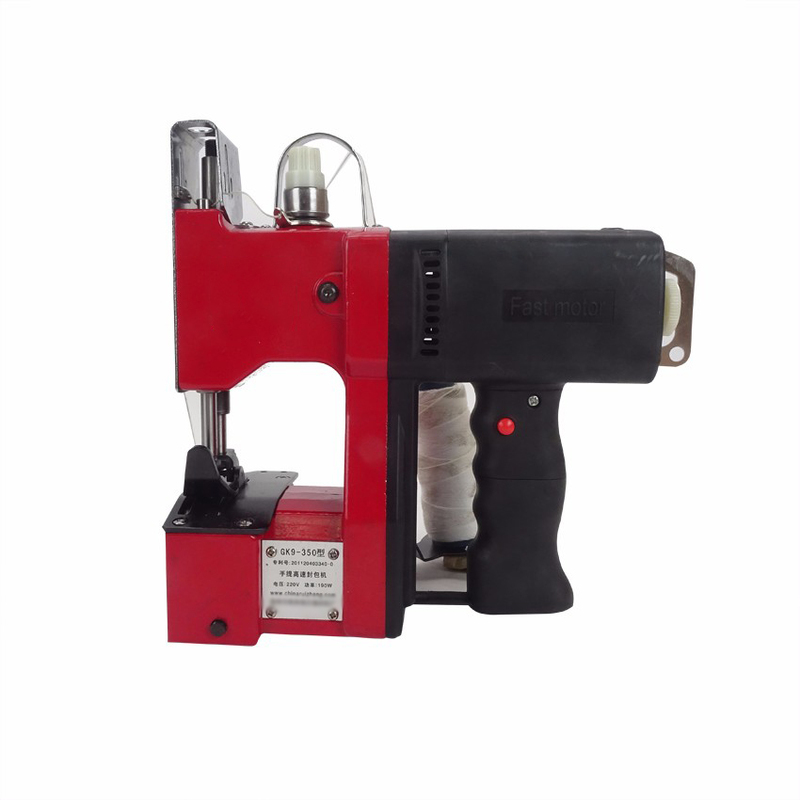 Make it move naturally and do not pull forcefully so as to avoid to break or jump thread. Raise cloth pressing board by using cloth pressing board handle. Lightly pull out cloth, upturn the sewed cloth and draw out thread, then knot in accordance with attached drawing 2. Or pull the thread tail on the face to the back face of cloth, in this case steps 1-4 are not allowed. If the stitches are too dense, anticlockwise loosen the adjusting screw, or vise versa. Loosen needle fixing screw to dismount old needle and fix new needle according to correct method and position. Attention that the plane of needle bar should face the direction of needle fixing screw. Pick the end of a thread. Pull out power source after finish to use if external power supply is used.